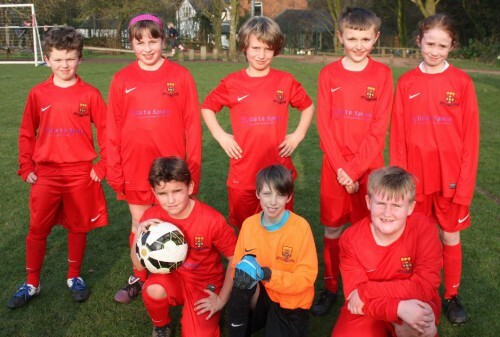 DataSpace UK Ltd are very honoured to sponsor Great Budworth C of E Football Team. The team have been playing hard in matches against other small local schools, with fantastic wins against teams from Whitley Village and Crowton. Big Thank You to Mr Paul Hamblett, the school caretaker, Mrs Gould and Mr Holland for all their hard work and enthusiasm in helping to train the team. We must say they all look marvellous in the bright red Nike football kit, emblazoned with “Great Budworth” on the back and our company logo ‘DataSpace UK Ltd’ on the front. It’s great to see the football team have appreciated wearing their new kit, and have done our Company name very proud! !